Madame Beespeaker Lori Weidenhammer visited us at our Equinox Celebration and shared her knowledge about all things Bees. Later she Blogged about our Bee-autiful garden. 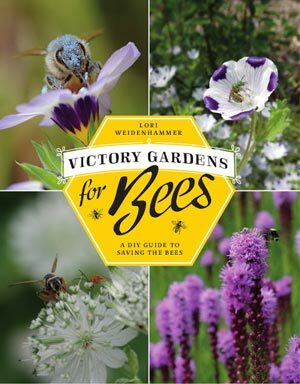 Her book Victory Gardens for Bees is buzzing with DIY projects that will provide nesting sites and essential supplies for precious pollinators. With plenty of photographs to help readers identify bees of all stripes, beekeeping tips and other interesting bee-phemera, this book is a must-have for anyone who wants to do their part to save bees.